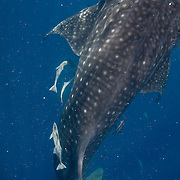 When I went to Palawan in 2007, swimming with whale sharks was not on my agenda. 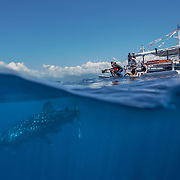 It was just by chance that I found myself on a boat trip out of Puerto Princesa to swim with whale sharks in Honda Bay, a short distance to the north of the city, as someone staying at the same pension had arranged the trip. 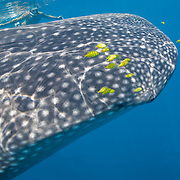 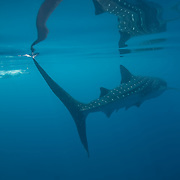 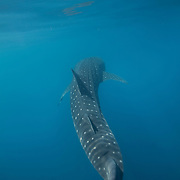 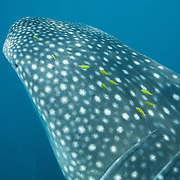 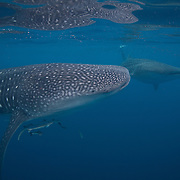 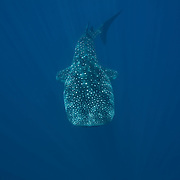 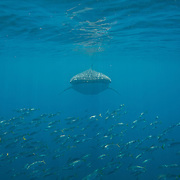 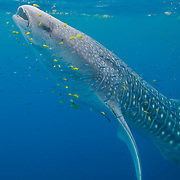 Swimming with the largest fish in the ocean is one of those iconic wildlife experiences that is high on the list of priorities for most people, and I certainly wasn’t disappointed and have become addicted to viewing and photographing those mesmerizingly beautiful creatures. 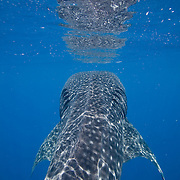 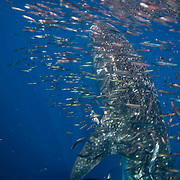 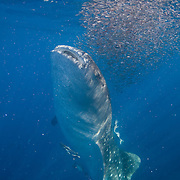 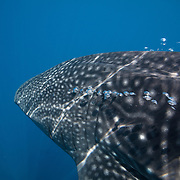 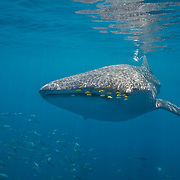 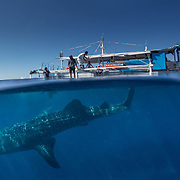 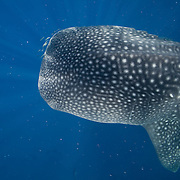 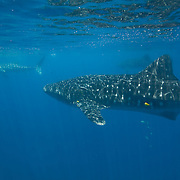 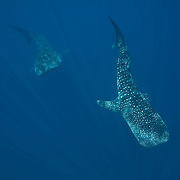 Seeing your first whale shark underwater is tantamount to love at first sight. 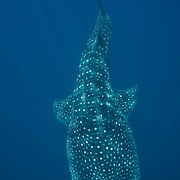 It has such a beautifully patterned and sculpted form, which dances and flickers with rays of light and sub-surface reflections as it undulates along so hypnotically. 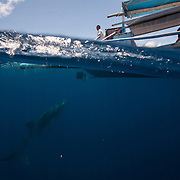 On that first trip I was able to capture a good photo of one of my companions swimming with a whale shark, and it was published on the front-page of the Sunday edition of the largest circulation English language newspaper in the Philippines, The Daily Enquirer, to accompany an article entitled “Palawan too is home to butanding”, butanding being the Tagalog name for whale sharks. 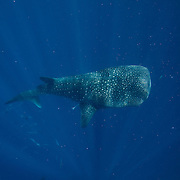 They generally arrive in the waters around Puerto Princesa in May, usually coinciding with the week before and after the full moon. 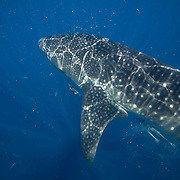 They return for subsequent full moons in June and July, and can sometimes be seen later in the year, particularly during September and October, but the sea conditions are not so favourable for observing and photographing them then. 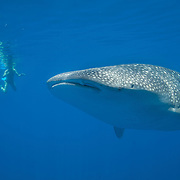 From May to July the underwater visibility is usually very good, and the sea generally calm. 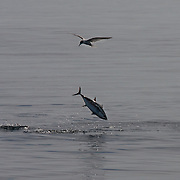 One of the most fascinating aspects of observing them is how they swim and feed in tandem with other fish, particularly tuna.